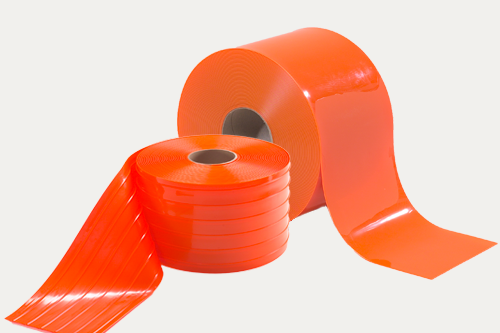 Heighten the awareness of your strip doors with our Orange Safety PVC material. These semi-transparent orange strips will help to improve the safety in your facility, especially where motorized traffic is present. Orange Safety PVC is most commonly used as the outermost strip on both sides of a standard strip door and is available in a variety of strip styles, widths, thicknesses and roll lengths.